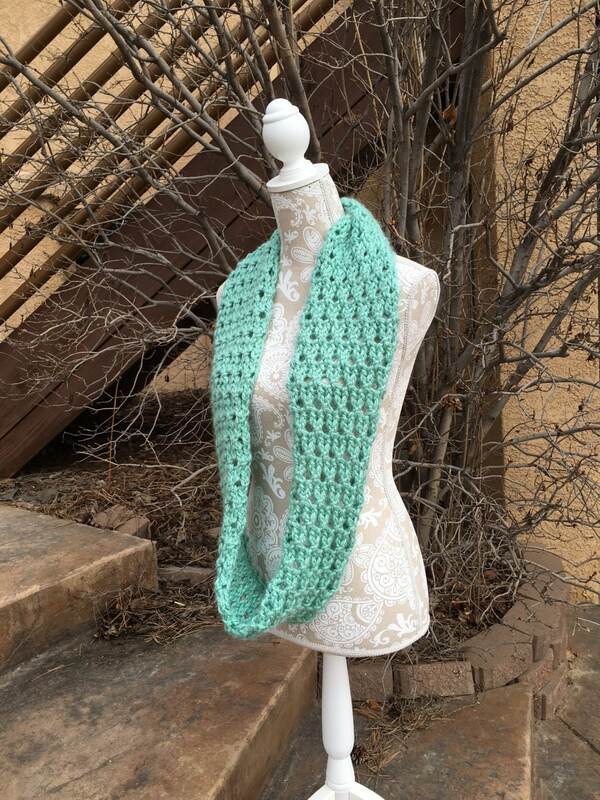 Just like larkspur flowers that grow wild in Colorado, the pattern in this infinity scarf reminds me the larkspur stems that grow up in clumps and then fan out from the weight of the flowers on the stems. 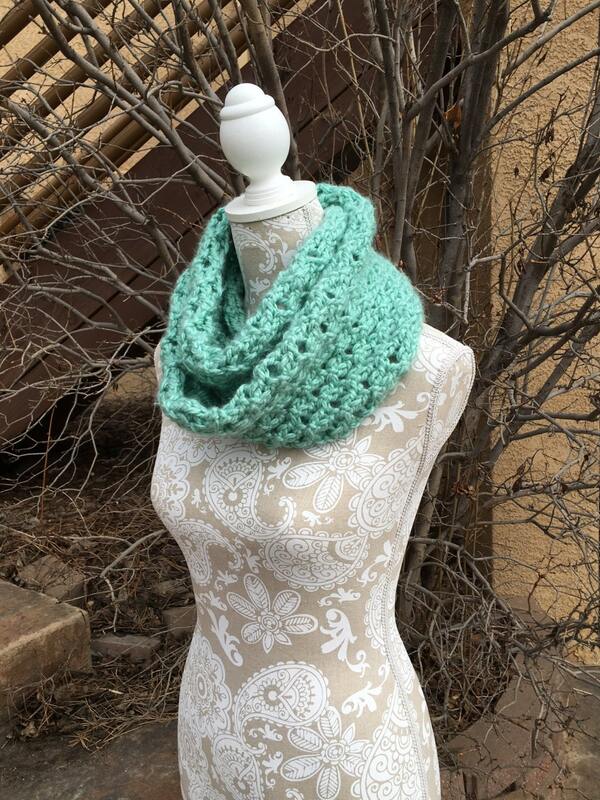 This chunky infinity scarf features my version of the Diagonal Knot Stitch on a 3/4” loom (eg. green 36-peg Knifty Knitter round loom). The pattern comes with a step by step photo tutorial. Once you get the hang of making the diagonal knot stitch on two pegs, the scarf will quickly grow on your loom. 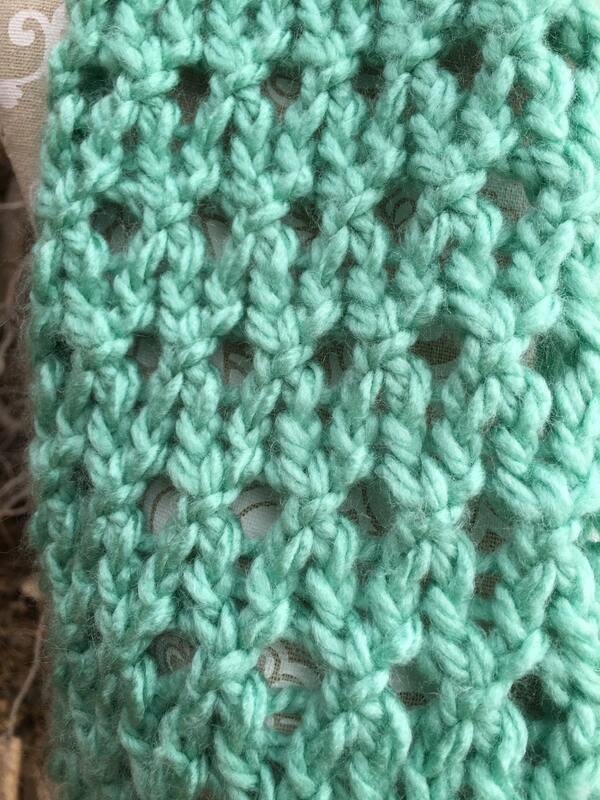 The sample was knit using approximately 120 yards of Hobby Lobby’s I Love This Chunky in the Ocean colorway. This pattern is suitable for an intermediate knitter.